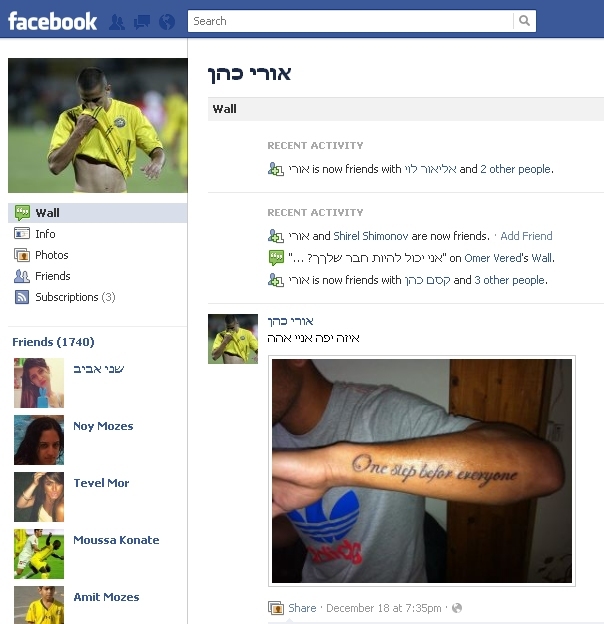 Israeli Soccer Player Ori Cohen recently showed off a new tattoo on his Facebook profile. Cohen apparently meant the tattoo to read “one step ahead”. 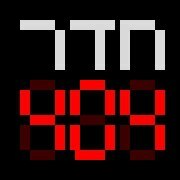 In Hebrew it’s “צעד אחד לפני כולם”, literally “one step ahead of everyone”. 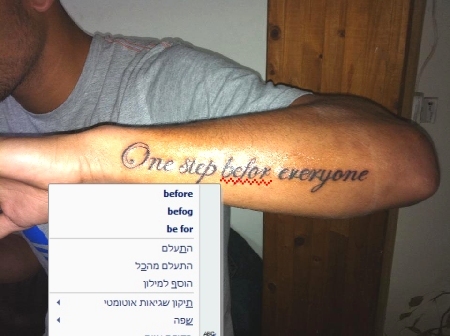 The tattooist got it almost right: “One step befor everyone”. Naturally I’d blame the lame translation on Google Translate, but it actually got it right. So it’s either a different translation service, the tattooist or Cohen himself who botched it. The Cohens seem to strongly object to proper grammar, spelling and punctuation; perhaps the mistranslated, misspelled tattoo is intentionally so.